I don’t know, what are the Reds like? They absolutely delight us all with the manner in which they pull off the Fabinho signing, with some wanting to build a statue of Michael Edwards outside the ground, and then the Nabil Fekir transfer turns into a saga before we even know what’s happening. One minute it’s as close to a done deal as you can get, with journalists on both sides of the English Channel saying we’ve agreed a fee and personal terms, the next minute the whole thing’s been cancelled and Lyon are saying he’s staying there next season! Meanwhile the weirdos who like to attack the club at every opportunity get the perfect excuse to do so. What’s happening? Same old same old! What happened with our attempt to sign the next Luis Suarez, Nabil Fekir? Are we going to buy him in two years time when his price has tripled? Like Salah & Van Dijk? Come on FSG give us a break from this clowning around you sadomasochistics. The reality is, only the player’s representatives and the two clubs know the full details of what happened over the weekend. What we know for certain is that the entire thing was agreed and then fell apart in the wake of the medical taking place. Fekir ruptured his knee ligaments when on international duty with France against Portugal in September 2015. It was reconstructed, allowing the player to return to duty for his club in 2016 but the medical obviously showed up something that concerned the Liverpool medical team and they sought a second opinion. 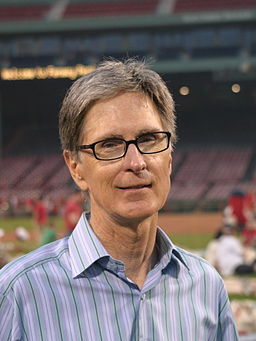 Despite what those that might want to bash Fenway Sports Group might suggest, it will have been the revelations of the second opinion and not any penny-pinching that scuppered the deal. Personally I’m absolutely behind the club doing the right thing based on medical advice. Ultimately this manager is building for the long-term, so if a player can come in and do well next season but the doctors at the club can’t be certain what will happen after that then it’s not much use to us. There’s a cautionary tale in that of Loic Remy, who we were close to signing before a medical showed up some issues. In the end he went to Chelsea and some sections of the fanbase went crazy, but he played thirty-two times for them over two season and has played twenty-five games since the start of 2016-2017. There’s little point in spending around £60 million of our budget on a player that we can have no guarantees of a long career from. It is, of course, entirely possible that we still sign Nabil Fekir. Indeed, the radio silence from the club – which is quite right, incidentally – is allowing people to suggest that a deal is ‘far from dead’. Yet there are other names that we’ve been more solidly linked with. Last week I thought that it might be a matter of hours rather than days before another singing was confirmed. I was nearly right, of course, with the Fekir deal being so close to completion that he had photos taken in the club shirt. In the end it fell apart, so who have we been linked with since? In a way, Mario Götze is responsible for the current look of the Liverpool team. The Germany international was high on our list of priorities two summers ago but decided that he didn’t want to move to Merseyside because we’d missed out on Champions League qualification. As a result, we turned our attentions elsewhere and, when he moved back to Borussia Dortmund, Sadio Mané ended up being the man who arrived at Anfield in his stead. We all know what happened next with the Senegalese international, of course, whilst Götze developed an illness known as myopathy and barely featured for the German side. Now it seems as though we might be looking at him once again, with Goal reporting that a reunion could still be on the cards. 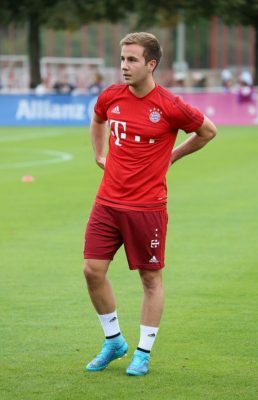 The notion seems to be based on a documentary called ‘Being Mario Götze’, in which the player says that Jürgen Klopp is a ‘world-class coach’ and working with him again is ‘always an option’. The departure of the World Cup winner from Signal Iduna Park is one of the hardest that our manager has ever had to cope with, spending the day in bed after finding out that he was leaving for Bayern Munich. How much stock there is in the story is up for some debate. On the one hand we need bodies and he’s top drawer at his best, yet on the other his absence for the best part of two seasons after illness must be a concern. We’ll see. 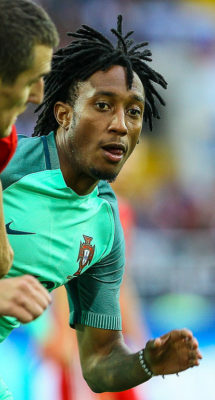 Speaking of players that we’ve been linked with before who ended up not coming and being replaced by someone else, Gelson Martins’s name has resurfaced as a possible target. Last summer we were rumoured to be thinking about making a move for the Sporting Lisbon winger, only to end up signing Mohamed Salah instead. As with Mané/Götze, I think Michael Edwards will be pretty pleased with how that decision worked out. We’ve got something of a reputation for going back in for players that we’ve been interested in in the past, so it’s no major surprised to see our interest reinvigorated after it emerged that Martins, along with a number of other Sporting players, wants to terminate his contract following an incident at the club’s training ground when a group of Ultras broke in and attacked players and staff. Four players informed the Portuguese Securities Market Commission this week that they wanted to break their contract with the club and the twenty-three-year-old is one of them. There’s a possibility that the players will change their minds if the club’s President, Bruno De Carvalho, were to leave the club, but there’s no guarantee. If he does indeed go through with his threat to cancel his contract then it would mean that he’d be available on a free and the Liverpool Echo are reporting we’re keen on signing him. It feels a little bit like one of those rumours when someone’s just put the name of a player we’ve been linked with in the past into an article with us because of his situation. He’s being strongly linked with Arsenal this time around and his ten goals in forty-two games suggests that might be about right. Is it possible that we’re going to go head-to-head with Manchester United over the signing of a winger from Fiorentina? The Daily Express certainly seem to think so, suggesting that we’re going to do battle with our nemesis for the signature of Federico Chiesa. The twenty-year-old is reportedly also attracting the attention of Manchester City and Napoli, which is at least rather good company to be keeping. I remember not so long ago that we appeared to be doing battle with the likes of Everton and West Brom over signings, so this feels like more of a step in the right direction. The Italian enjoyed something of a breakout season for La Viola last time out, scoring six goals in thirty-eight games. I’m not entirely convinced that that’s enough for the Reds to be in for him, however. The media seem to think that the Italians want more than sixty million for him, which is a huge amount of money for an untested player. This rumour feels more like one where the player’s agent or the selling club want to drive the price up, so they link him with a move to a club that’s known to be looking for attacking players. That said, the recruitment department have done a good job in recent years of identifying players that are going to go on to great things, so maybe he’s exactly the sort of one that they’re after. It wouldn’t be a Liverpool transfer gossip piece without a link to a goalkeeper now, would it? Having spent about the past four months talking about Alisson, it now seems as though he might be a bit too rich for our blood. Real Madrid are also interested in getting him and it’s believed that he’d prefer a move there, so our only way of doing enough to get him to choose Merseyside over Madrid is by doing what the current European champions won’t and paying Roma’s asking price. Given that that sits at about £70 million, which is around double the current record for a shot-stopper, I’m not sure that’s going to happen. As Simon Mignolet will surely be leaving the club soon and no one is likely to trust Loris Karius any time soon, we still will need a goalkeeper. Enter the name of Jasper Cillessen. Currently Barcelona’s second-choice goalie, he certainly has experience given that he’s twenty-nine. It’s also not the most outrageous suggestion so far, when you think about the teams that he’s played for and things that he’s achieved. He won the title with Ajax three times and was also Barca’s cup goalkeeper when they won the Copa del Rey in both 2016-2017 and 2017-2018. A Dutch international, he between the sticks when the Oranje finished third at the FIFA World Cup in 2014. There’s been one big named departure this week, though there was little surprise in terms of who it is, and one departure that feels as though it’s been a long time coming…. Normally I’d give both players their own small section of this piece, but as the club lumped their names together in their official announcement, it only felt right that I should do the same. The German hasn’t actually joined anyone yet, though it’s probably one of the worst kept secrets in football that he’ll be off to Juventus unless something dramatic happens. It’s entirely possible that one of the likes of Manchester City, Manchester United or Chelsea might want to persuade him to remain in the Premier League, but I’m not convinced he’ll think it’s really for him. At his best he was a brilliant player, but too often he chewed the ball against deeper-lying defences and I think he’ll be more suited to the slower pace of Italian football. As for Flanagan, the Academy graduate got far more playing time than anyone expected during the 2013-2014 season, making himself something of a cult hero after scoring against Tottenham in our 5-0 rout over the London club at White Hart Lane. That was partly to do with the fact that he seemed to get very excited about scoring…Any cult status he might have boasted disappeared in the wake of him assaulting his girlfriend in December of 2017, however, and now most supporters will simply shrug their shoulders when his name is mentioned. As with Can, his contract has come to its end and so he’s free to go where he wants, with Celtic and Rangers apparently interested. The Nabil Fekir drama will unquestionably hang over the club until we sign someone else, but we shouldn’t lose sight of the fact that we’re already ahead of the curve in terms of who we’ve brought in so far. Now let’s all watch the World Cup and decide which players we should be paying big bucks for.